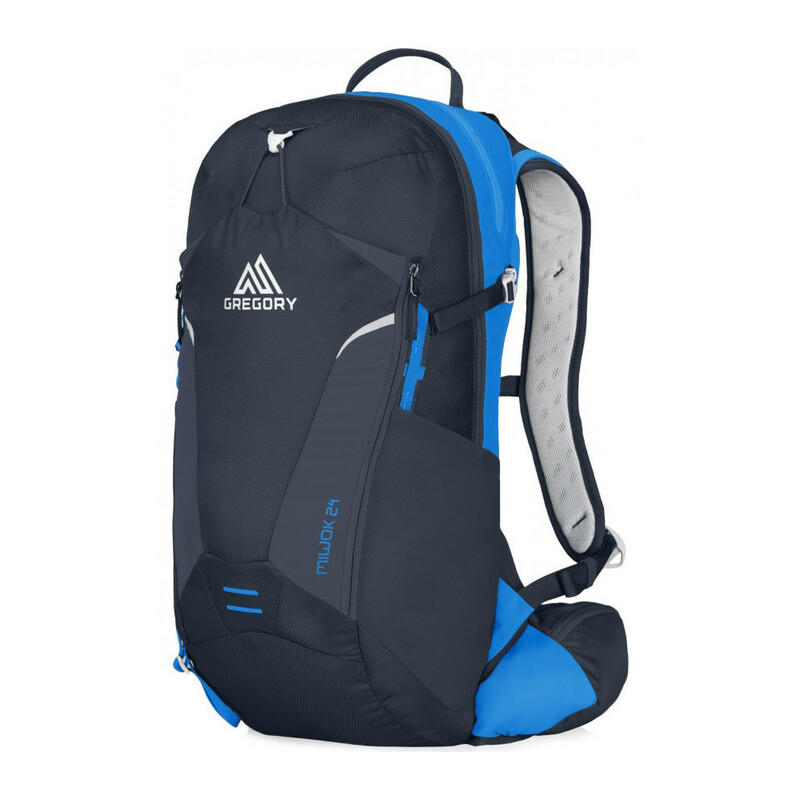 A new 24L backpack in the Gregory men's active trail range. Built to hold all your gear, the bag can be compressed or expanded according to your need. In addition to the main compartment, there are two external side pockets, a top zip pocket, two quick access waist belt pockets and a front pocket with bungee closure that can fit a helmet. 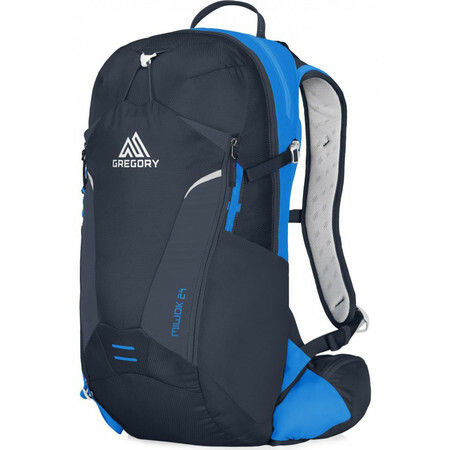 The backpack also fits a water reservoir which is accessed from the outside. miwok 24 from Run and Become on Vimeo.